How far will a pumpkin fly? Team "PumpkinHammer" watch their trebuchet as it launches in the Punkin Chunkin 2006 World Championship in Millsboro, Del. 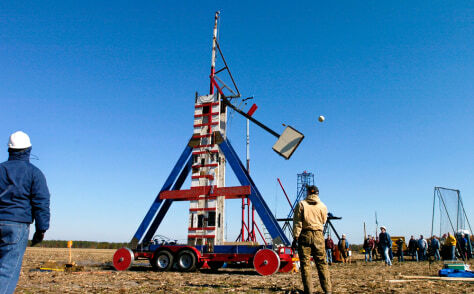 This year, the World Championship Punkin Chunkin contest takes place Nov. 2-4 in Bridgeville, Del. The event began in 1986 and bills itself as the oldest and largest competition of its type.